Running out of power on your gadgets all the time? No worries when you have this wristband. It has a build in battery that you can charge at home and then will carry enough power to give you way longer talk and text time on your cell phone or way longer time playing you video games. 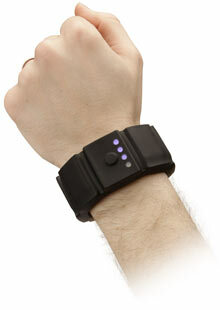 Go check out the Universal Gadget Wrist Charger and see what it can do for you.